Chances are, you’ll quickly scroll down to see which shoes are included on this guide. When you do so, you might be surprised by the omission of the Brooks Glycerin, Asics Nimbus, Mizuno Wave Sky, Saucony Triumph, and the Epic React. Ok, the last one – the Nike Epic React – was left out because it hardens in the cold. And why did we leave those out? The terms soft, cushioned, and padded are often conflated. A cushioned shoe can do what it claims without being soft. A padded shoe might not necessarily be soft – it could mean a midsole with top or bottom layer softness. There are two qualifiers for a running shoe to be really soft. At least, that’s how solereview defines it. First, the foam material should compress as soon as you load weight. Two, the midsole made of the said foam should be a high-volume kind. You must be wondering, why do I need a soft shoe for? I like my runs to feel lively and not be bogged down by softness. This generalization was true five years ago when a soft running shoe was the preferred footwear for lazy runs. But times have changed. Softness comes in various forms – and some are better than the others. Nowadays, rarely are top-tier cushioning platforms made of EVA foam. Replacing the humble EVA are various hi-tech formulations such as expanded TPU, PEBA, and others which are not only soft but also deliver dependable performance. One need not come at the cost of another; you can have your spongy cake and eat it too. 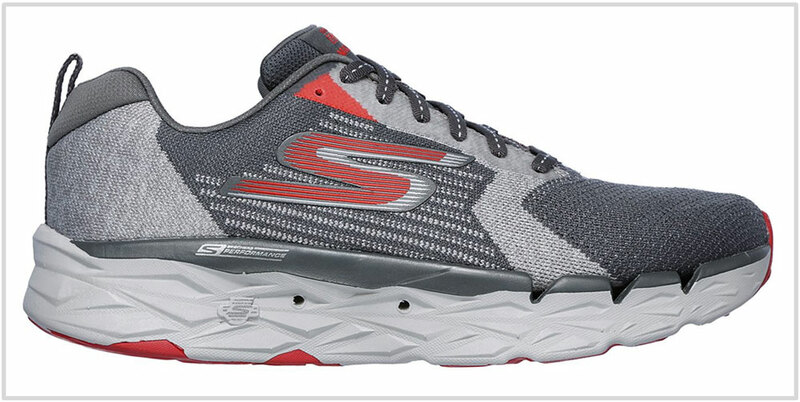 Only the Skechers GoRun MaxRoad 3 Ultra uses an EVA variant – the rest on this guide don’t. 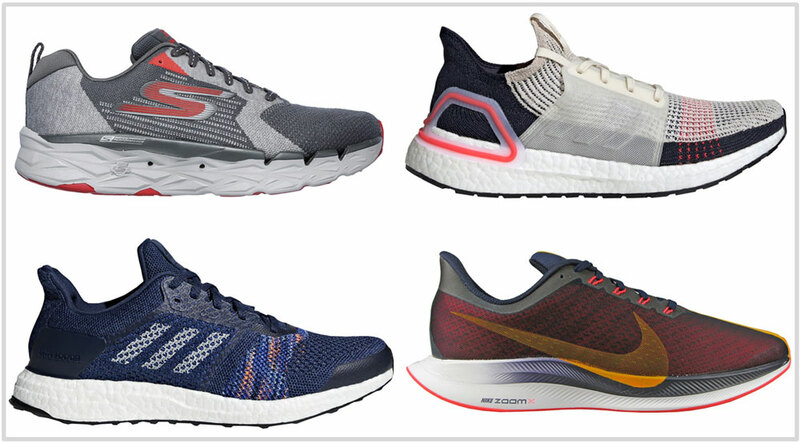 The Brooks Glycerin, New Balance 1080 and the Mizuno Wave Sky are soft and comfortable, but this guide is about the ‘softest’ running shoes – so those models don’t make the cut. How about Hoka One One? We deliberated including the Bondi 6 but it is too much shoe. The Clifton 5 doesn’t have the cloud-like softness of the Clifton 1. And max-soft as it may be, the Stinson ATR is trail oriented. Hoka (and Altra) also have limited global distribution so the recommendations will not be useful for a lot of our readers. The guide is laid out in a straightforward way and listed in the order of competence. Besides the softness aspect, the recommendation also needs to be a good running shoe. For example, the first shoe in the list – the Skechers GoRun 3 Ultra – offers the best balance between cushioning softness and performance. On the other hand, the UltraBoost 19 is soft around the edges when it comes to performance running. This company from Manhattan Beach sells pretty dope running shoes but they don’t get the attention they deserve. The GoRun MaxRoad 3 Ultra gets everything right – be it the very soft and responsive ride, the spacious upper, outsole traction, or the 8-ounce weight. One would think that the thick midsole limits the Ultra’s versatility. Not at all. The Road 3 is good for almost anything you throw at it. Except for very fast track workouts or short road races, the Road 3 can handle everything from long-distance runs to just being a daily workhorse. The midsole even has vents – beat that. And the best part of all is the Ultra’s affordable price. The Pegasus Turbo’s soft ride doesn’t come at the cost of performance. The dual-density foam midsole is very cushioned, very responsive, and very useful. It’s a shoe you can do long tempo runs in. It’s also a shoe for performing your routine workouts in. If the fit and ride works for you, then it has the potential to become your favorite running shoe. But there is a catch. The forefoot is narrow and shallow so the fit is a take-it-or-leave-it kind. The midsole is narrow and flexes in the middle so it doesn’t work for everyone. The Turbo is also a very expensive shoe. We’re exactly halfway through the guide so it’s fitting that we have the adidas Solar Glide here. It is a middle-ground between cushioning softness and running shoe performance in more ways than one. 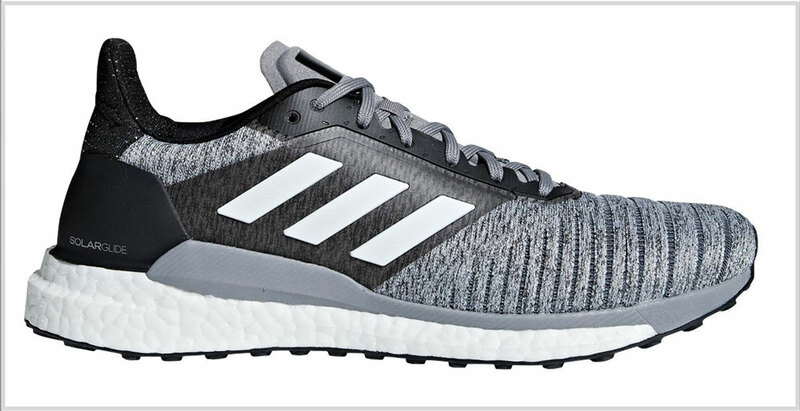 The full-length Boost foam midsole is tapered towards the front, and this means that the softness is loaded under the heel. There’s a fair bit of stability provided by the raised EVA rims on the side. While a little stiff in the midfoot, the upper has a spacious and breathable fit with no hot spots. The Solar Glide also uses a Continental rubber outsole which makes it possible to extract hundreds of running miles. This 11-ounce shoe is good for daily runs and even the occasional marathon. 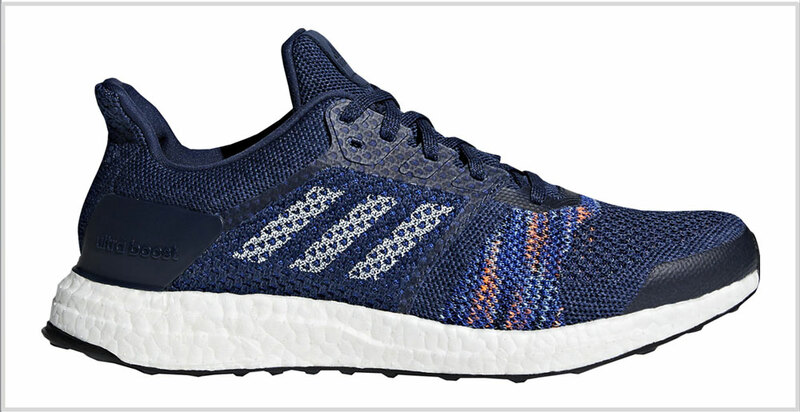 The ST version of the Ultra Boost should be your go-to shoe if you want the complete Boost experience within the boundaries of performance running. Unlike the standard Ultra Boost, the ST has a) a very spacious upper, and b) a more supportive midsole. The upper doesn’t have the snap-fit stretch quality and there are no plastic shells pressing down against the sides. It’s good to see adidas leave the ST’s basics untouched for the last three years. One gets the unadulterated and soft Boost experience from the high volume midsole. At the same time, a Urethane band extends over the inner midsole to limit compression. As usual, the durable outsole has great traction and lifespan. The Ultra Boost ST is a heavy shoe, so buy it for your easy daily miles and such – ask nothing more of it. 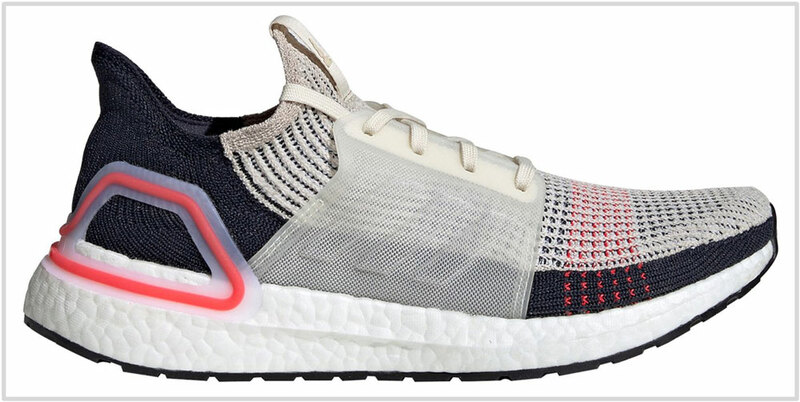 We like what adidas has done with the Ultra Boost 19. It’s got an improved upper which cuts down on the use of molded plastic – both over the midfoot and heel. On the outside, that leads to less clutter. On the inside, the upper is a better place to be – the knit covering has a comfortable and easy-going fit. A familiar sight greets you under the new upper. The midsole has high-volume Boost and nothing else, thus making the ride very soft and easy on the feet. A butterfly clip clasps both the upper and the midsole to improve stability. There’s a good reason why the UltraBoost 19 features last on this guide. It is a very soft shoe but it takes performance running less seriously than the others on this list. The UltraBoost 19 should be one of the many shoes in your rotation because it’s not very versatile. Wear it on easy days at relaxed paces – that’s pretty much what this shoe is good for.